Bluegrass Pundit: Strange: Damage from alleged Colorado NAACP bombing seems to have been there months ago. 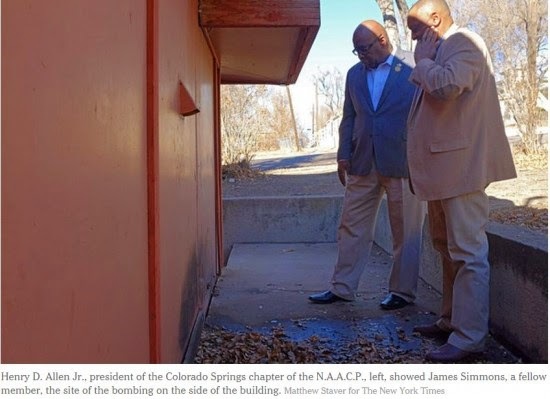 Strange: Damage from alleged Colorado NAACP bombing seems to have been there months ago. Here is a image of the damage from the alleged bomb set off outside a Colorado NAACP office this week. 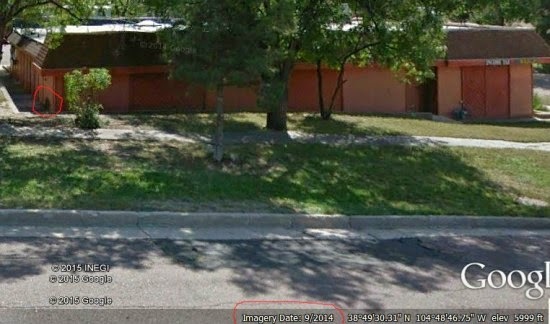 Here is a September Google Earth image of the same part of the building. The burnt spot appears to have already been there.